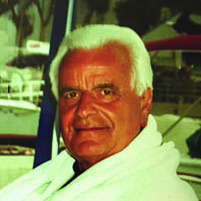 Gene Nalbandian is currently living in Laguna Beach, California with his soul mate. He mentors graduate students at his beloved alma mater, UCLA, where he earned his Master of Business Administration degree. He also played baseball for, and earned an undergraduate degree at, Fresno State. Gene spends much of his time with his children and grandchildren, always challenging them to be the best that they can be. He also pursues athletic endeavors by playing golf and participating on the Senior Tennis circuit.